What is tennis or golfer’s elbow: Definition of epicondylopathy (formerly known as “epicondylitis”). 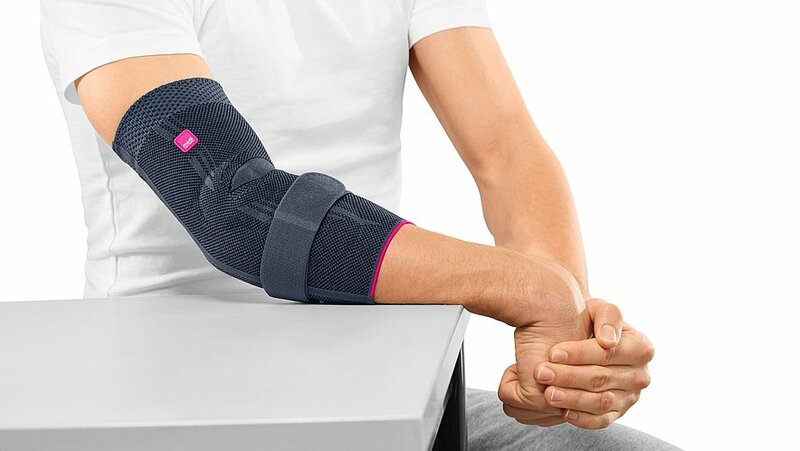 "Tennis elbow is a type of epicondylopathy (also referred to as epicondylitis, epicondylosis or epicondylalgia). This refers to the painful tendon irritation on the outside of the elbow (Epicondylopathia humeri radialis) caused by overuse. 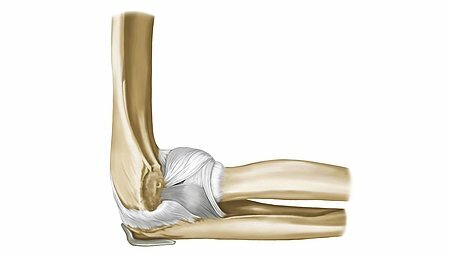 If the epicondylopathy occurs on the inside of the elbow, this is referred to as golfer’s elbow (Epicondylopathia humeri ulnaris). Tennis elbow is more common than golfer’s elbow. 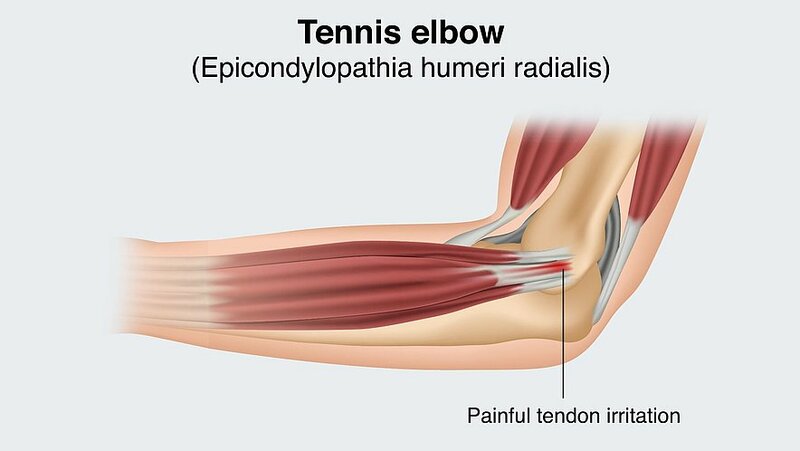 Tennis and golfer’s elbow are not, as has long been assumed, caused by inflammation (epicondylitis), but rather the irritation of the tendon insertions (epicondylopathy). " 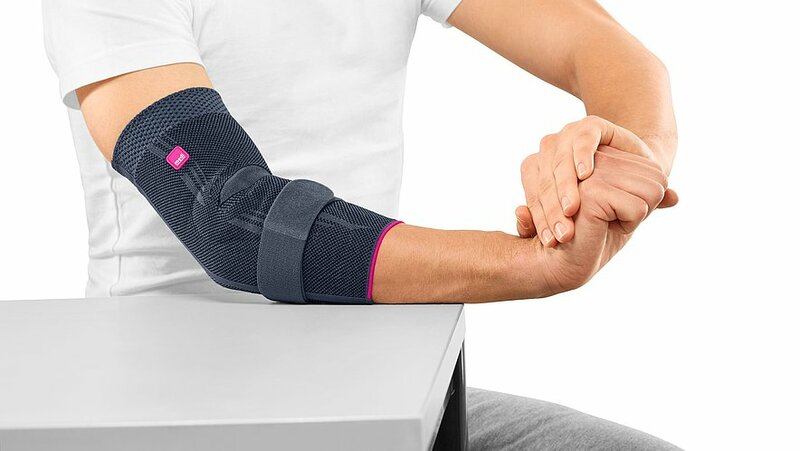 "All forearm muscles that are required for finger and wrist strength and movement are attached to the two bony prominences (epicondyles) of the humerus by the tendon insertions. Overloading of these muscles causes microscopic tears in the tissue. 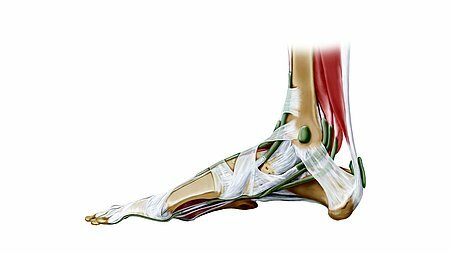 These can lead to changes in the tendon tissue. Both excessive overloading caused by sporting activities, as well as monotonous low strain patterns of movement, can cause epicondylopathy: Occupational overloading can lead to epicondylopathy just as easily as excessive exercise. For example, people are often affected by straining their forearm muscles by typing on a keyboard, working with a PC mouse and performing manual activities." 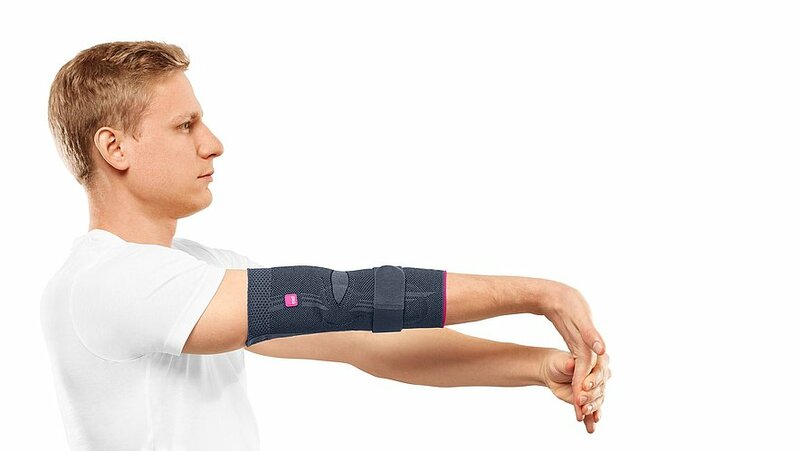 "Elbow pain that manifests as tenderness when the joint is pressed. With tennis elbow, the extensor tendons on the outside of the elbow are irritated. 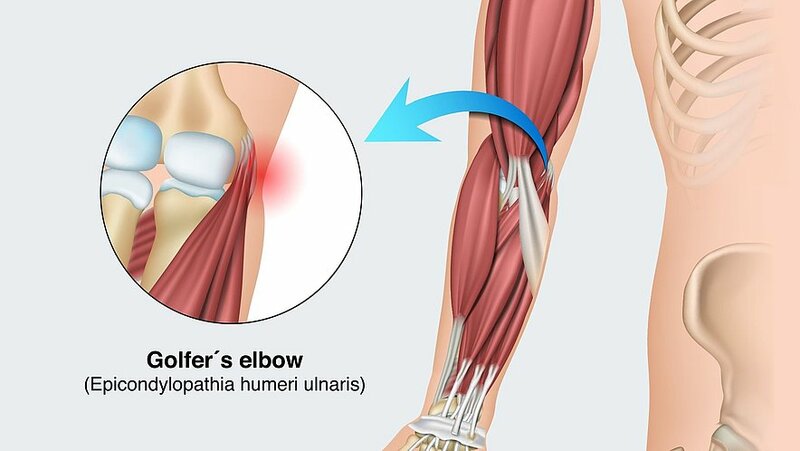 With golfer’s elbow, the flexor tendons on the inside of the elbow are affected. 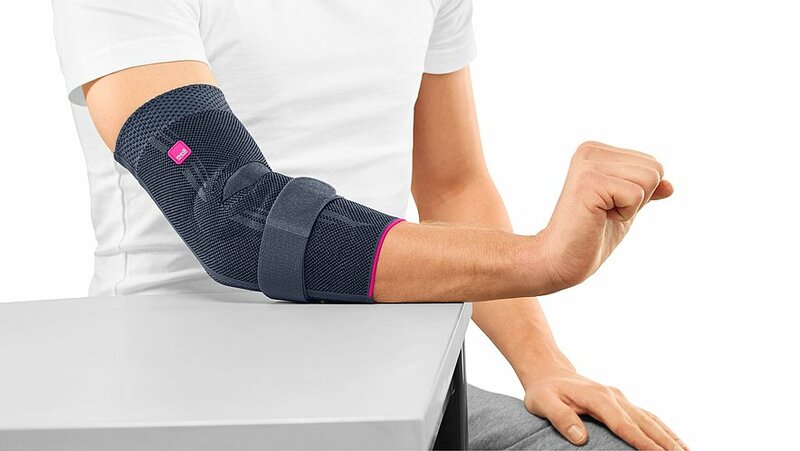 When the muscles in the forearm are put under pressure, the pain in the elbow joint increases. This can also radiate to the lower and upper arm. It can also diminish hand and finger strength. Initially, the pain only occurs when under pressure, e.g., when making a fist, gripping or lifting. As the disease progresses, the pain can be felt even when at rest." 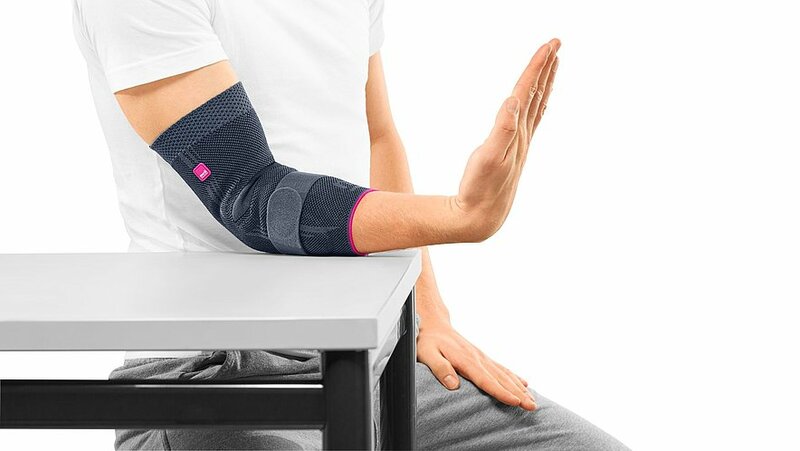 How can tennis/golfer’s elbow be prevented? Play tennis with the correct technique and, if necessary, invest in training sessions. 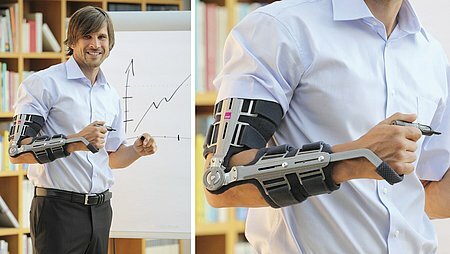 Use support pads when working at a computer and use an ergonomically-shaped mouse to relieve pressure on the forearm. If you do manual work, then a cordless screwdriver will make your life easier. Lift objects so that the palm of your hand is facing your body. And last but not least: Watch out for signs of overuse and take a break. 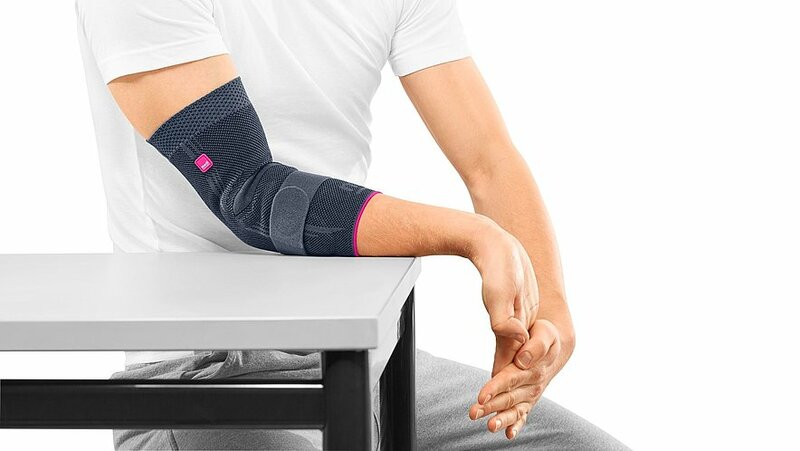 Supports: To relieve the irritated tendon insertions, many doctors first recommend an elbow bandage. 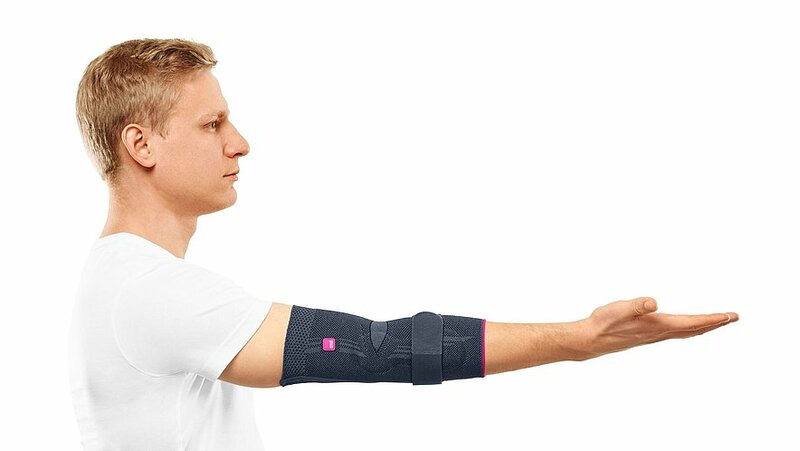 The compressive knit structure of this bandage supports the affected forearm muscles. 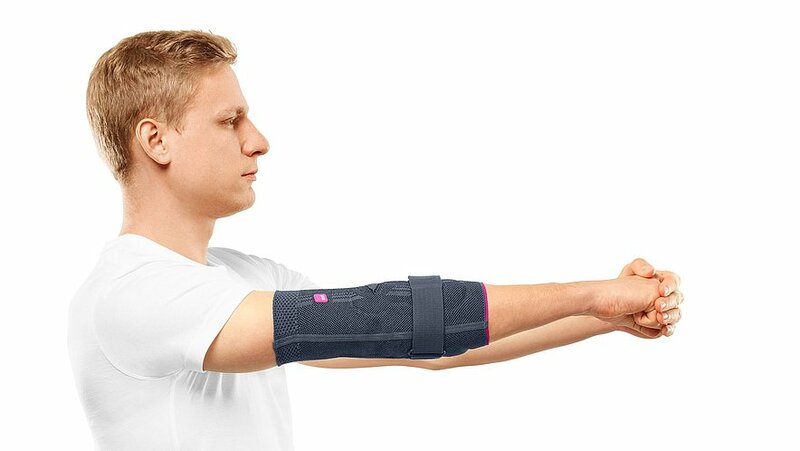 The tendons are relieved by the 3D pad and the strap. 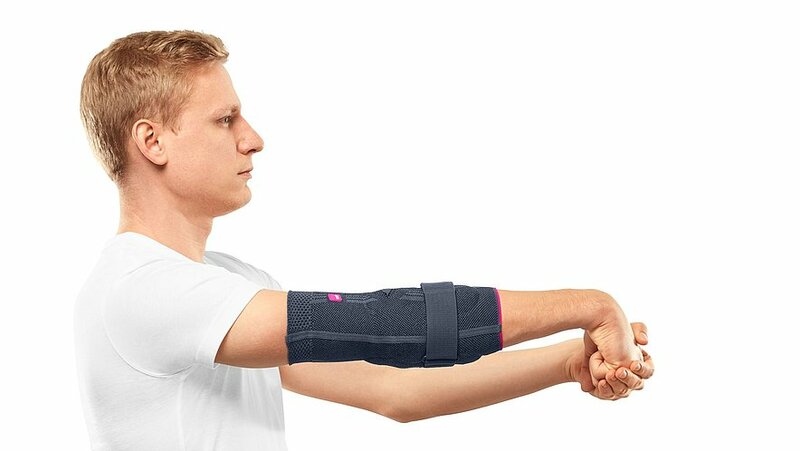 Elbow brace: There are also special elbow braces, such as the medi Epibrace, for example. This has a built-in pad, which specifically reduces the pressure and prevents load spikes. Operation: Epicondylopathy is rarely operated on. In most cases, tennis or golfer’s elbow can be treated conservatively. 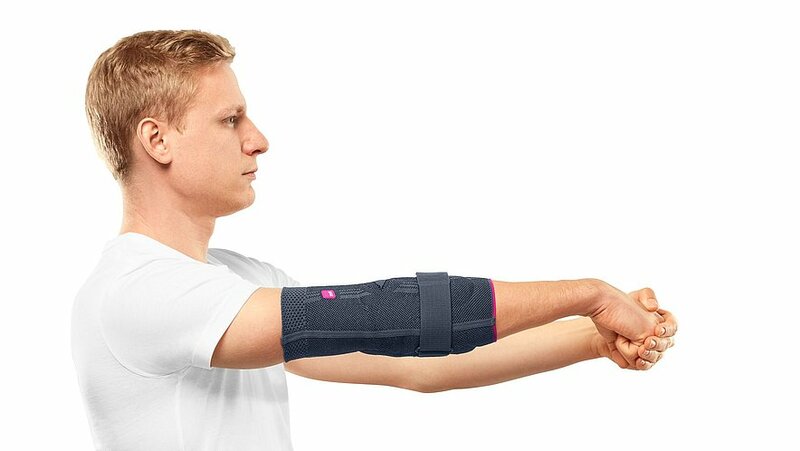 Stretching exercises: Through eccentric training therapy (bending and overstretching of the wrist and stretching out the forearm), many patients can do a lot to help themselves to recover from epicondylopathy: Regular stretching reduces the pulling force at the tendon insertion and relieves muscle tension. Strengthening: A comprehensive workout to strengthen the muscles can cure tennis or golfer’s elbow. Cooling or warming: Both can support the therapy. In the acute stage and after intense stress, cold has a soothing effect – for example, using a cooling compress. In contrast, many patients find heat therapy much more pleasant in treating chronic tennis or golfer’s elbow. Massage: Special massages (deep friction), as well as ultrasound or electrotherapy, stimulate blood flow. Shock wave therapy: In persistent cases or for patients whose tendons have already calcified, epicondylopathy is treated using extracorporeal shock wave therapy (ESWT). Short, strong shock waves stimulate the body’s own healing process. Other potential courses of action include acupuncture, injections and medication for pain reduction. 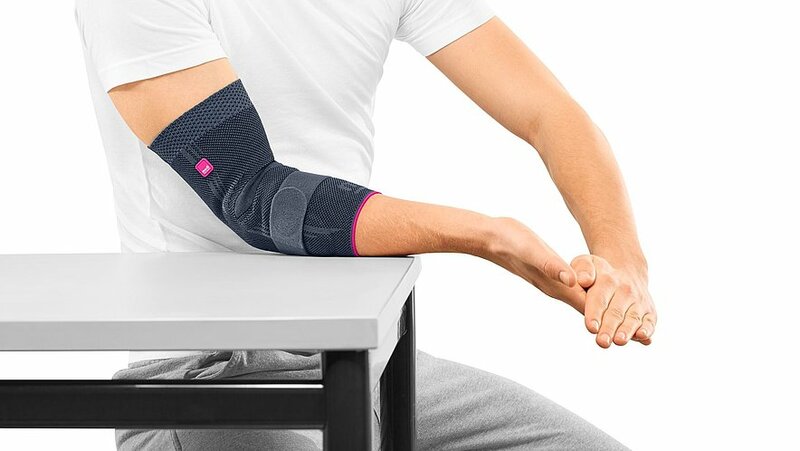 "For medial tendon irritation (golfer’s elbow) or lateral irritation (tennis elbow), both the eccentric strengthening and the stretching of the muscles of the irritated tendons can promote the healing process. To maximise the benefits of the therapeutic exercises, patients should ideally perform the exercises three to four times a week. Please first consult your doctor to see whether the exercises are suitable for you." Sit on a stool next to a table. Place the forearm to be trained on the table. Position the wrist so that it freely extends over the edge of the table. The back of the hand points up toward the ceiling. Make a fist with the affected hand. Stretch the wrist of the affected hand as far as possible. Grasp the hand to be trained from above using your free hand. Apply measured pressure on the back of the hand to be trained. Slowly (in slow motion!) 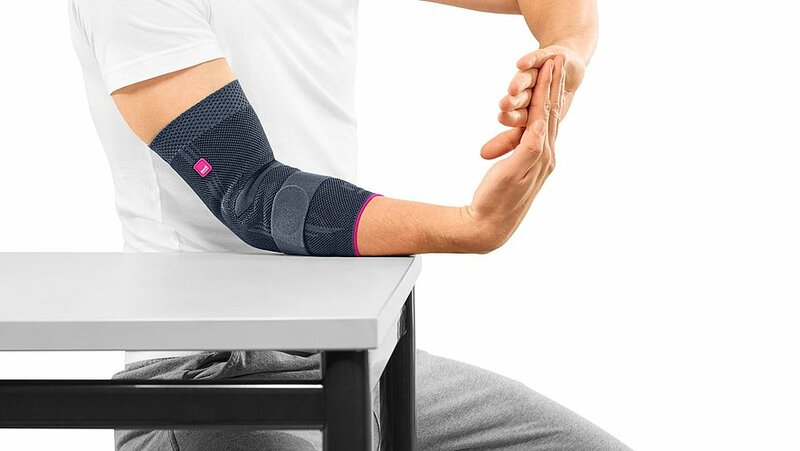 allow the stressed wrist to give in. You may feel some mild pain while performing the exercise. Pressure should be metered out so that it is possible for the trained hand to yield slowly. Perform the exercise slowly and in a controlled manner. Performed standing on firm ground. Stand upright and raise the arm to be stretched out in front of you at shoulder height. The arm and body form a 90-degree angle. Make sure the arm is always at maximum extension. The back of the hand faces upwards. Make a fist with the hand of the outstretched arm. Grasp the fist from above and to the side using your free hand. 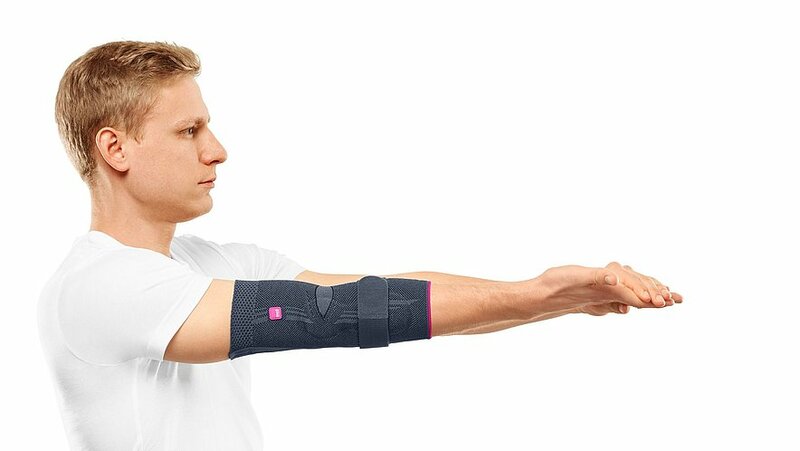 Bend the wrist of the affected arm to the farthest it will go. Apply gentle pressure on the closed fist using your other hand until you feel tension in the area of the forearm extensor muscles. To increase the stretching effect, you can also slowly turn the affected arm outwards. The palm of the hand points up toward the ceiling. 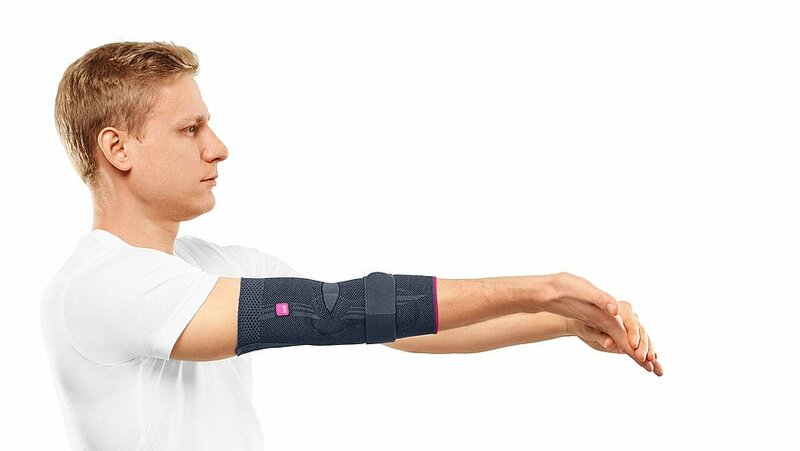 Bend the wrist of the affected arm as far as possible. Apply measured pressure on the palm of the hand to be trained. Slowly (in slow motion!) give in with the stressed wrist until the fingertips point toward the floor. The fingers and palm always form a line. A pressure should be chosen that makes it possible for the trained hand to yield slowly. The free hand covers the trained hand around the knuckles and fully encloses the fingers. The palm of the hand faces upwards. 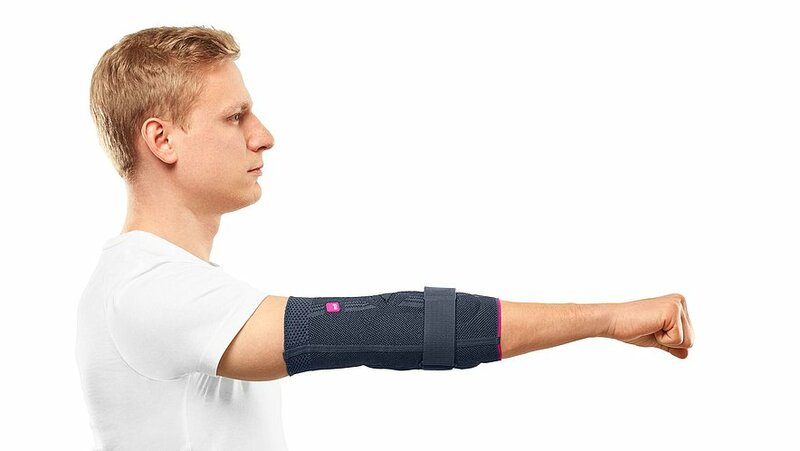 Enclose the hand of the affected arm using your free hand. Surround all of the fingers of the affected hand. The tips of the fingers point toward the floor. Apply gentle pressure on the enclosed hand using your other hand until you feel tension in the area of the forearm flexor muscles. 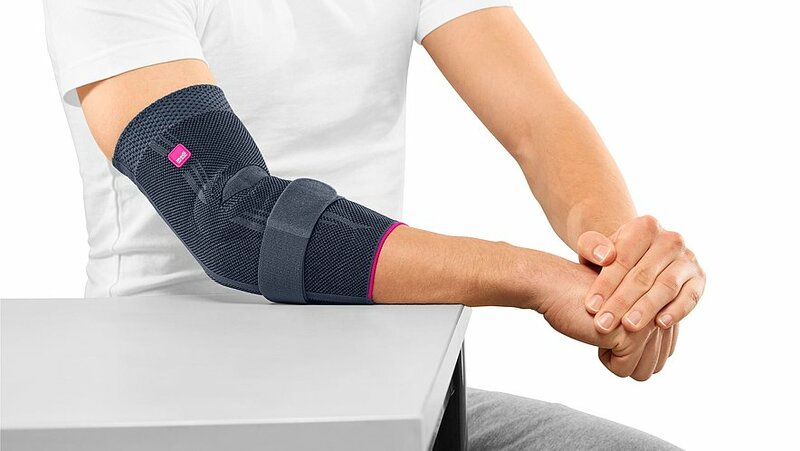 medi products can help in treating tennis and golfer’s elbow.